Philip Seymour Hoffman and John Turturro in "God's Pocket." The appearance of "God's Pocket" suggests the ambiguity inherent in the preservative quality of art, possibly most apparent in the cinema. Something like a posthumous work, the movie stars Philip Seymour Hoffman, a strange, sad circumstance in which the man who died so recently, whose presence remains vivid in memory, of course looks familiar and alive on the screen. 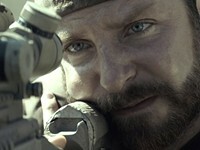 The complex balance of the knowledge of his death and the perfectly real representation on the screen creates a special poignancy that adds to the impact of the film. A voiceover narration by one of the characters, a perpetually drunk columnist named Richard Shellburn (Richard Jenkins), describes the Philadelphia neighborhood of God's Pocket in the sort of pseudo-poetic, tough-sentimental terms that certain newspaper writers love, littered with cheap feeling and bad metaphors. As he speaks, the film shows a funeral, a grieving family, and as the mourners depart, someone slugs the funeral director. A sentence on the screen prepares for a flashback to three days earlier, unfolding the story and explaining the funeral and the violence. The corpse in the funeral is Leon Hubbard (Caleb Landry Jones) the psycho stepson of Mickey Scarpato (Hoffman), the son of Jeanie (Christina Hendricks), who dies as a result of his insults and threats to a fellow employee at a brickyard, a loss that nobody, except his mother, regrets. Mickey, who runs a meat delivery service and works with Sal (Domenick Lombardozzi), a vicious local mobster, and his friend Arthur Capezio (John Turturro), finds that Leon's death complicates his life in unexpected ways. Arthur can't pay Mickey the money he owes him, Jeanie wants him to find the cause of Leon's death, and he needs several thousand dollars for the funeral. That relatively simple situation expands in several directions, branching into different plot lines, often exploding into some shocking, graphic violence. The movie includes three killings, for example, an eye gouging, and a climactic beating when the locals of God's Pocket, reacting to one of Richard Shellburn's columns, erupt out of their favorite gin mill and set upon him. Some of the violent actions occur in the most unexpected ways, perpetrated by the most unlikely people, and even mix with a minor love story and some farcical comedy involving Leon's embalmed corpse and Mickey's frantic efforts to raise money. The quality of the cast, an ensemble of character actors, contributes significantly to the success of "God's Pocket." All of them, including even those in some of the smallest parts, perform with absolute conviction. 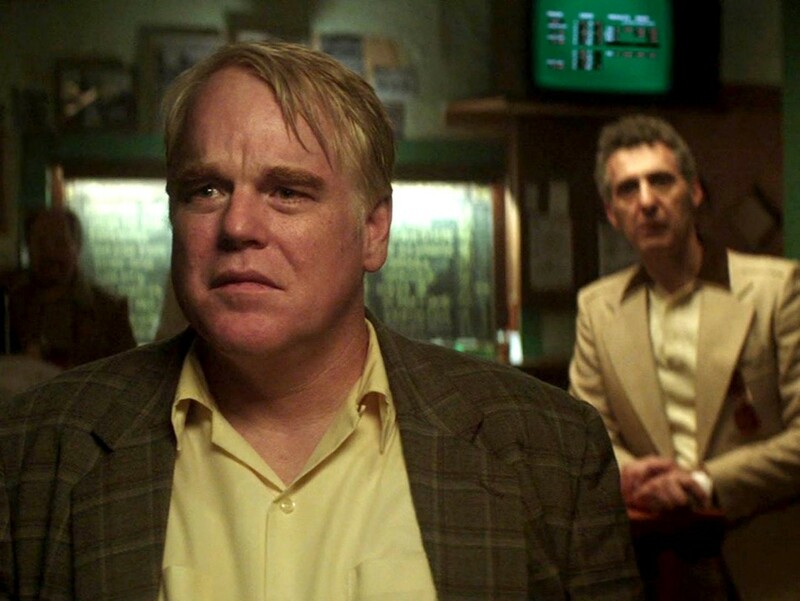 Philip Seymour Hoffman, who never disappoints, quietly dominates the picture with the combination of faint hope, sad resignation, and sheer desperation that defines Mickey Scarpato's character and drives his life. As the initial narration suggests, the neighborhood itself serves as the chief character in the picture. Its people look and speak and behave like the denizens of a tough, insular, working-class community, as ingrown and provincial in its way as any horrible little backwater in Appalachia. Defiantly proud of their dreary little spot, they justify their hostility to any outsiders on the simple basis of their lack of any history, background, or connection with God's Pocket. In its peculiar way, the movie follows a relatively recent trend in motion pictures, the representation of compact, ethnically unified areas, much like the South Boston of "Mystic River" or "The Departed." Further, it follows the path of those films that concentrate on the essential disappointments of contemporary America, a slice of life in narrow, rigid, often seamy circumstances, whether in parts of big cities or depressing towns right out of "Winesburg, Ohio." Movies as different as "All the Real Girls," "The Good Girl," "Out of the Furnace," and even "About Schmidt," show a side of the country that never appears in the romantic comedies, the grand blockbusters, even the great staple genre flicks. A couple of years ago a reporter from Texas, I think, called me, asking about the latest trends in Hollywood productions. I told him that despite the ever more elaborate technology, the digital revolution, the special effects of all kinds, the most interesting development was those films brave enough to show that sad underside of America. Unsurprisingly, he rapidly lost interest in the subject.